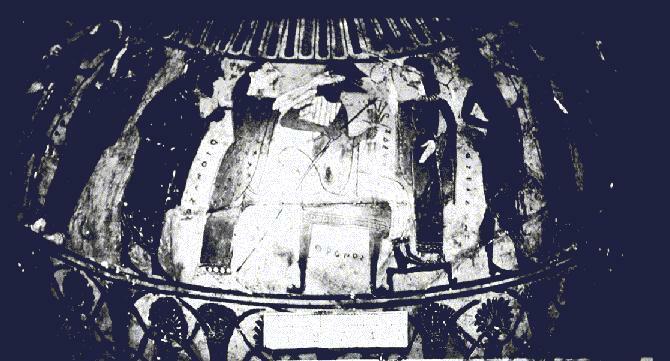 (Paris, Louvre E 852) Zeus is seen seated on a throne, surrounded by gods and goddesses. Hephaistos is one of them. Athena is not represented. For the description of this representation click here.